Heritage Irish Dance Company would like to invite your child to an intro to Irish dance camp in Martinsville. Irish dance doesn’t have a “season” like many other sports and we keep tapping our toes all year round. Don’t get left out - register today! Our half day camp from 9 am to 12 Noon will include unlimited water and a snack mid morning (if your child has special dietary restrictions, you should pack their lunch). Snacks will be peanut free. All camp attendees will receive a t-shirt too! All camps will need a minimum of 8 dancers to be held and have a maximum of 16 spots available. Novice Through Championship, Full Day Camps (9 am to 3 pm) Ages 8 and Up – We’ll learn dance steps, drill basic skills, learn new dance moves, and spend time working on flexibility… AND throughout the day include fun activities like art projects, games, team building & goal setting exercises, learn different ceilis and allow the dancers time to create their own choreography (to be revealed on the last day to you!). Early drop off as early as 8 am is available for an additional fee of $30 for the week. $50 non-refundable deposit due upon registration. 3rd and 4th child $50 off. Includes lunch and t-shirt. 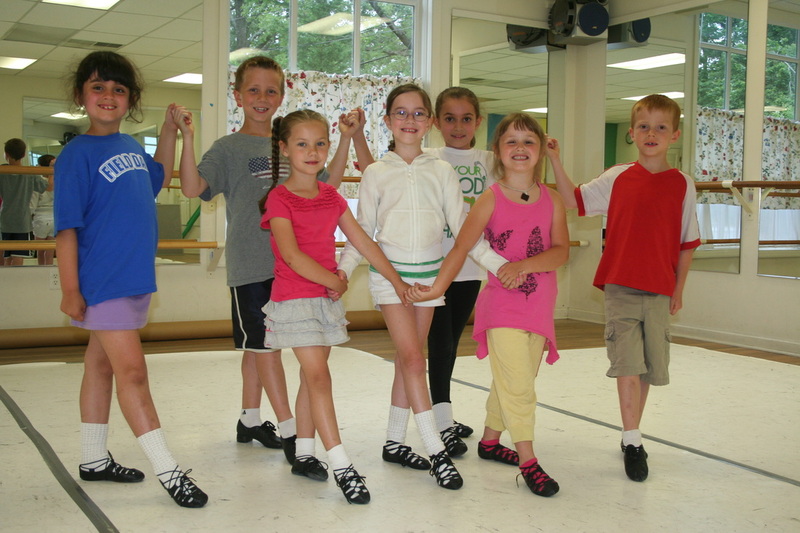 Beginner and Advanced Beginner Half-Day Irish Dance Camp - 9 am to 12 noon – Open to dancers age 4 and up who are a new beginner or have some Irish dance training (less than 2 years and under age 9). Learn basic dance skills and steps, spend time on flexibility and posture. The morning will be broken up with art projects, games, stretching and storytelling. Lunch is not included. Early drop off as early as 8 am is available for an additional fee of $30 per week. $50 non-refundable deposit due upon registration. 3rd and 4th child are $25 off. Includes a T-Shirt. For pricing and more information on our summer camps, fill out this form and someone will send you an email shortly!